Jalan Chamang (or Chamang Road) is famous for the Chamang Waterfalls, a major tourist spot in Bentong, Malaysia. It is also a winding and shady stretch that attracts many locals who enjoy jogging and cycling here. Halfway down this road is also the entrance to our retreat centre, Kechara Forest Retreat. Thus, I was very happy when Kechara and Tsem Rinpoche Foundation in collaboration with various government departments and private companies decided to organize a mutual aid event to clean up the whole of Chamang Road in Bentong in conjunction with Malaysia Day 2016. 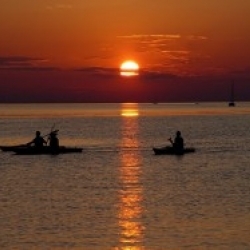 As spiritual seekers, caring for our environment is very important as is giving our service to the local community. Personally, I find it a great honor to be able to give the Bentong towns folk a clean and safe environment to enjoy on Chamang Road. I would like to express my heartfelt gratitude to the many departments who sponsored and volunteered for this event, and especially to YDP Mohammad Shahid bin Ismail, who took some time from his busy schedule to grace our event with his presence in order to raise awareness of the importance of keeping our environment clean. 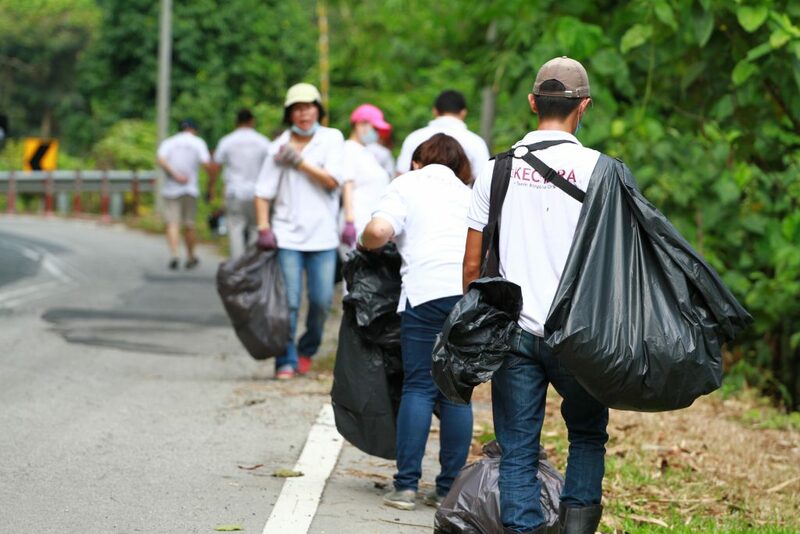 ‘Gotong Royong’ is the Malay word for communal work where people of a locality come together to carry out community-centric tasks such as cleaning up the environment by clearing litter and garbage and cleaning out public drains. 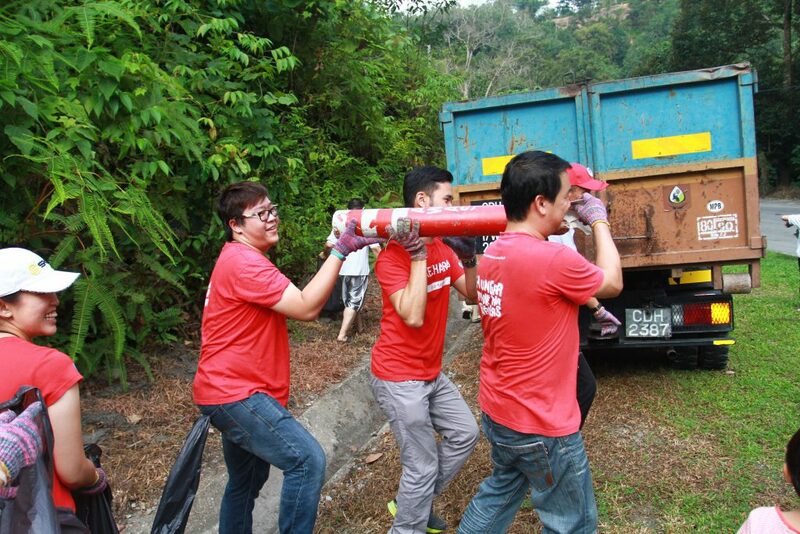 In celebration of Malaysia Day, Kechara and Tsem Rinpoche Foundation in collaboration with Majlis Perbandaran Bentong (Bentong Municipal Council) organized the annual Gotong Royong for the second year running. 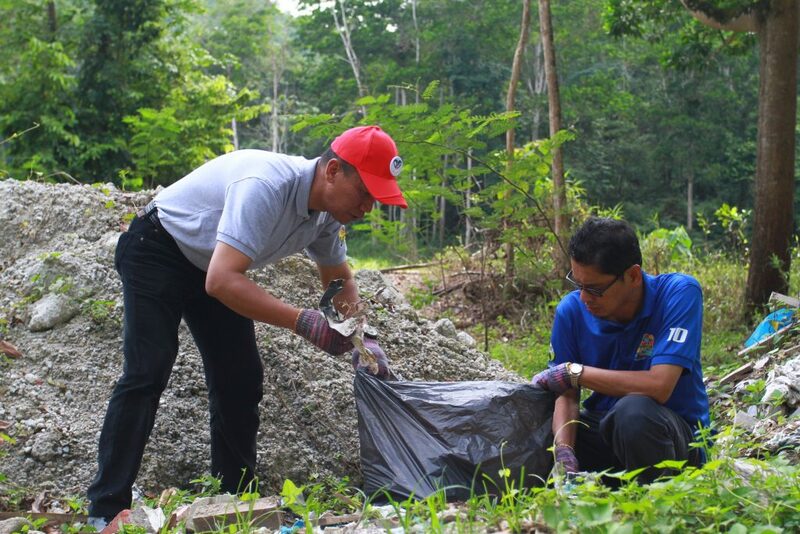 The objective was to clean up Jalan Chamang, Bentong, so that tourists and visitors could enjoy their journey to Chamang Waterfall. In addition, a cleaner environment would help prevent mosquitoes from breeding. We were honored to have the Yang Dipertua (YDP) Majlis Perbandaran Bentong, Mohammad Shahid bin Ismail, to officiate the event at 8.30am, 16th September 2016 in Kechara Forest Retreat (KFR). 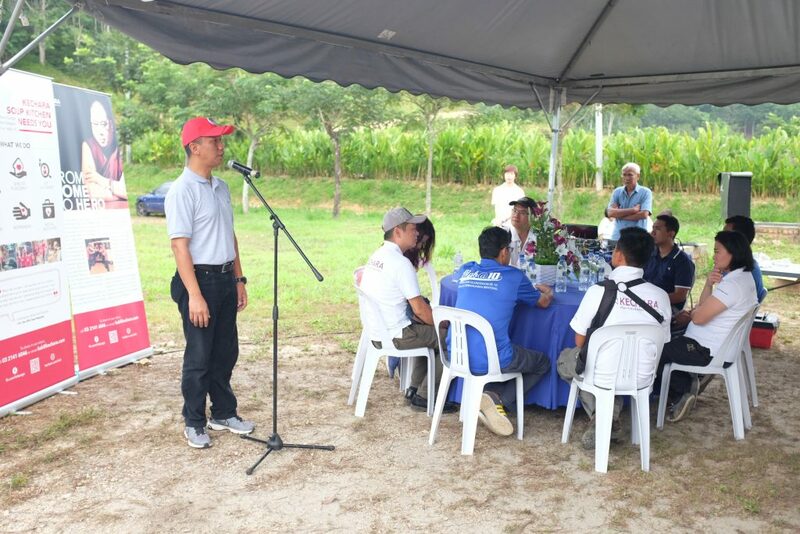 In his speech, YDP thanked Kechara for taking the initiative in organising this event, explaining that clearing the environment helps to curtail the spread of mosquitoes, particularly Aedes mosquitoes that spread dengue fever as well as the latest strain, Zika. He also added that he hopes this community service effort will continue on a yearly basis every Malaysia Day. The event saw 85 volunteers from Kechara, Majlis Perbandaran Bentong, Tsem Rinpoche Foundation, Alam Flora (Environmental Management), SW Corp and Jabatan Perhutanan (Forestry Department) working diligently and harmoniously in true community spirit, covering a four-kilometer radius from the entrance KFR on Jalan Chamang right to the famous Air Terjun Chamang (Chamang Waterfall). 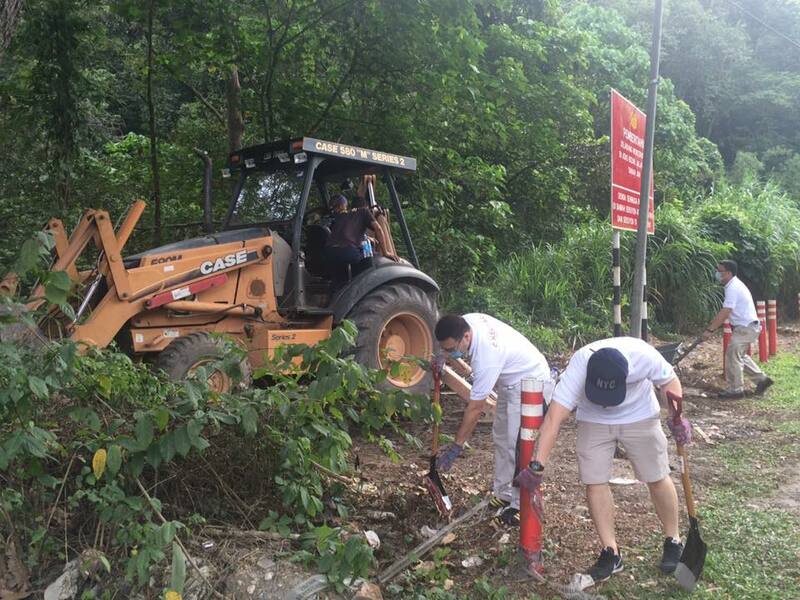 The YDP was also seen participating in the clean up alongside his staff and volunteers from Kechara. KLH Hardware & Machinery Trading who sponsored gardening tools such as wheelbarrows, spades, gloves, face masks and disposable garbage bags. KLH is one of the main suppliers of building materials for KFR. Restoran & Kafe Tawakal who sponsored the food and beverages for the event. Tawakal serves some of the best halal food in Bentong. Majlis Perbandaran Bentong who provided the use of one lorry. 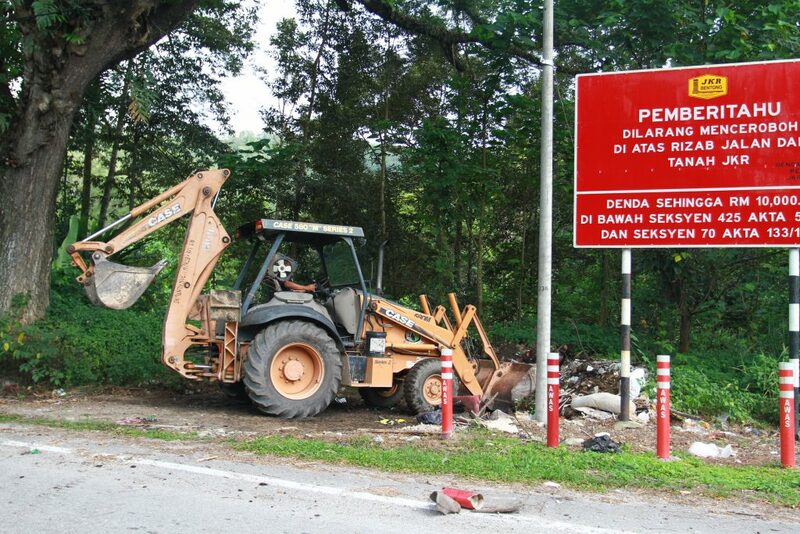 Alam Flora who provided the use of one backhoe and one lorry. Jabatan Perhutanan who sponsored 30 trees. Mr Simon Lee, one of the building contractors for Kechara Forest Retreat, who sponsored the rental of canopies, tables, chairs and sound system. Mr Kent Liew, another building contractor for Kechara Forest Retreat, who secured sponsorship for the use of a backhoe from CTM Machinery and a lorry from Pam Kim Fatt. Mr Eddie Loke, the electrical contractor for Kechara Forest Retreat for use of his lorry. We would like to express our heartfelt gratitude to all who have made this community event possible, from those who contributed financially and in kind, to those who spent their holiday volunteering for a good cause. We hope to see everyone again next year. Let’s keep our environment clean! Gotong Royong merupakan kegiatan masyarakat di mana anggota masyarakat bersatu tenaga bersama-sama melakukan suatu aktiviti muhibah seperti membersihkan kawasan persekitaran dengan mengutip sampah-sarap dan membersihkan longkang-longkang awam. 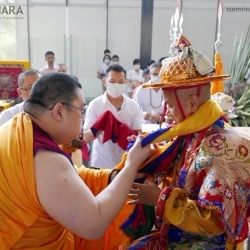 Sempena merayakan Hari Malaysia, Kechara dan Tsem Rinpoche Foundation dengan kerjasama Majlis Perbandaran Bentong menjalankan akitiviti Gotong Royong buat kali kedua tahun ini. Tujuan Gotong Royong ini adalah untuk membersihkan Jalan Chamang supaya para pelancong dan pelawat dapat menikmati persekitaran yang bersih ketika berkunjung ke air terjun Chamang. Kawasan persekitaran yang bersih juga akan mencegah nyamuk-nyamuk daripada membiak. Kami rasa besar hati dengan kehadiran Yang Dipertua (YDP) Majlis Perbandaran Bentong, Mohammad Shahid bin Ismail yang merasmikan acara Gotong Royong pada jam 8.30 pagi, 16 September 2016 di Kechara Forest Retreat (KFR). Dalam ucapannya, beliau mengucapkan terima kasih kepada Kechara kerana mengambil inisiatif untuk menganjurkan acara ini dan beliau menjelaskan bahawa dengan membersihkan kawasan persekitran kita, pembiakan nyamuk boleh dihapuskan, khususnya nyamuk Aedes yang menyebabkan demam denggi dan virus Zika. Beliau berharap acara Gotong Royong ini akan dijadikan acara tahunun setiap Hari Malaysia. Dalam acara ini, sukarelawan dari Kechara, Kechara Soup Kitchen, Majlis Perbandaran Bentong, Alam Flora, SW Corp, Jabatan Perhutanan, bekerjasama dengan penuh semangat muhibah membersihkan kawasan sekitar 4 kilometer dari KFR, di antara Jalan Chamang dan Air Terjun Chamang. YDP juga turut menyertai akitiviti pembersihan ini bersama-sama kakitangannya serta para sukarelawan Kechara. KLH Hardware & Machinery Trading yang menaja kereta tolak, penyodok, sarung tangan, topeng muka dan beg-beg sampah. KLH merupakan salah satu daripada pembekal utama bahan-bahan binaan KFR. Restoran & Kafe Tawakal yang menaja makanan dan minuman acara ini. Tawakal menyediakan antara makanan halal yang terbaik di Bentong. Majlis Perbandaran Bentong untuk kegunaan sebuah lori. Alam Flora bagi kegunaan sebuah lori dan sebuah pengorek-kaut. Simon Lee, kontraktor KFR yang menaja kanopi, meja, kerusi dan sistem bunyi. Kami ingin mengucapkan terima kasih kepada mereka yang telah bersama-sama menjayakan gotong royong kali ini, para penaja yang telah menghulurkan sumbangan kewangan dan tenaga, juga kepada mereka yang telah menghabiskan masa cuti bekerja secara sukarela untuk tujuan yang baik. Kami amat berharap akan dapat bertemu lagi pada tahun hadapan. Mari kita bersama-sama menjaga kebersihan persekitaran. « Take Steps to Prevent Cancer! 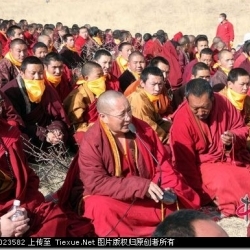 Thank you Rinpoche, sponsors and the support team in making this a success for the activity. 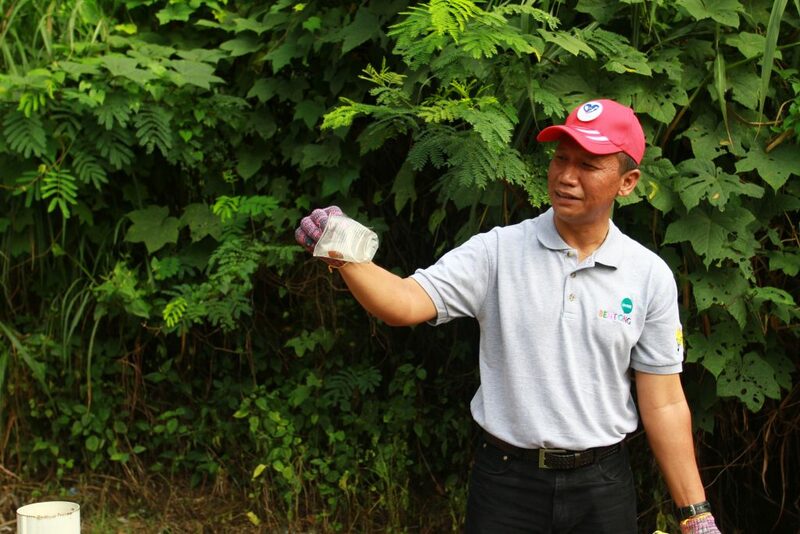 This activity created opportunity for those who practiced teamwork and worked in harmony with others in order to raise awareness of a clean environment and prevent Zika virus caused by mosquito bites. Hope this activity will continue to be held on a regular basis for the benefit of many others. Gotong Royong is something not so commonly heard like yesteryears, it is a coming together of the community to do something that benefits the community as a whole. It is an elevation of one’s consciousness, and it does take a more enlightened state of mind, to see that the community is much more important and essential than the individual. 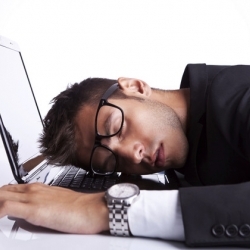 As not everyone who participated in this activity, got direct benefit from this exercise. But there is an indirect benefit that, by benefitting others, they are in fact benefitting themselves. increasingly more and more thinkers of the day are thinking that the happiness of others, do in fact affect our own happiness, it is like we are all invisibly interconnected to one another like the movie Matrix. 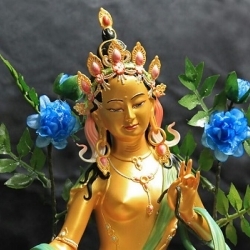 The happiness of one, affects and increases the happiness of the whole, and the unhappiness of one affects also the whole. Big thank you and rejoice to Yang Dipertua (YDP) Majlis Perbandaran Bentong, Mohammad Shahid bin Ismail, the organizing committee, Kechara Pastors, Kechara staff and all the volunteers who had spent the holiday in clearing up the rubbish along the Jalan Chamang in Bentong, Pahang. A clean and mosquito-free environment is very important for all walks of life as polluted environments can cause serious epidemic virus or bacteria to grow and spread within the vicinity of the area. Hopefully, there will be more and more people recognizing the importance of a clean environment by not simply throwing the rubbish at the roadside at their convenience but applying awareness of not polluting the environment by owning the self-responsibility, protect and preserve the Mother nature for our future generations. Prevention is always easier than cure. Spending holiday in doing cleaning is something meaningful. 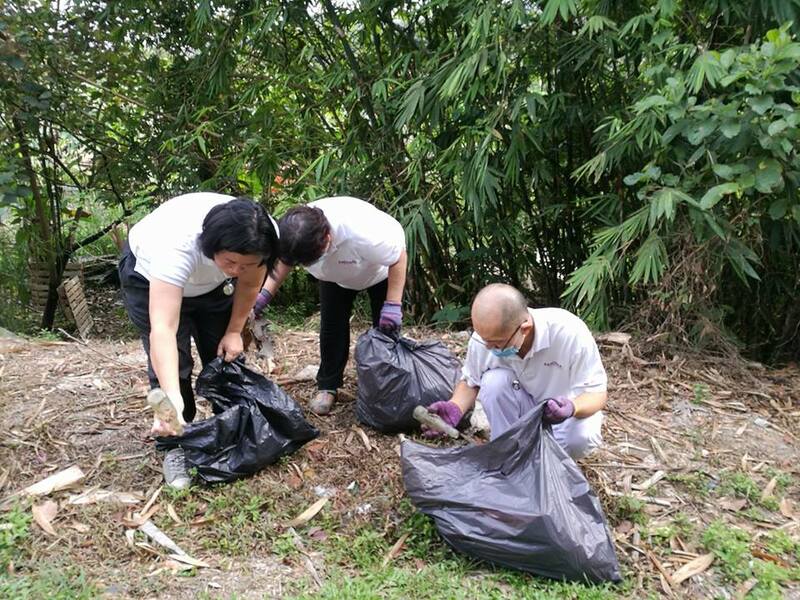 Kechara Organisation not only having a Retreat center in Chamang, Bentong to heal people but by organizing this activity, it brought awareness to many that it is important to keep the environment clean. Environment is not our big rubbish bin that we conveniently throw our rubbish into it and polluted the environment. With the new virus – Zika, the awareness towards our environment should be more alert. By simply throwing the rubbish, we are creating a karma to have dirty environment. Love our mother earth, as this is the only habitat we have. It is really heartwarming to see Malaysian come together as a community and discard the label of race or religion for the purpose of greater good. This is the teachings of all religions. To keep the environment that we live in clean and beautiful is our responsibility. Thank you Rinpoche and Kechara for creating this opportunity for us to give back to the society and be a good citizen of Malaysia. I remember when I was present for last years cleaning day. It was really an experience to remember. I remember going to places other people would not even think of going, pulling out huge and yucky bags of rubbish and dumping it onto a dump truck. I felt good. Good that I was doing something for not only the town of Bentong, but for mother nature. 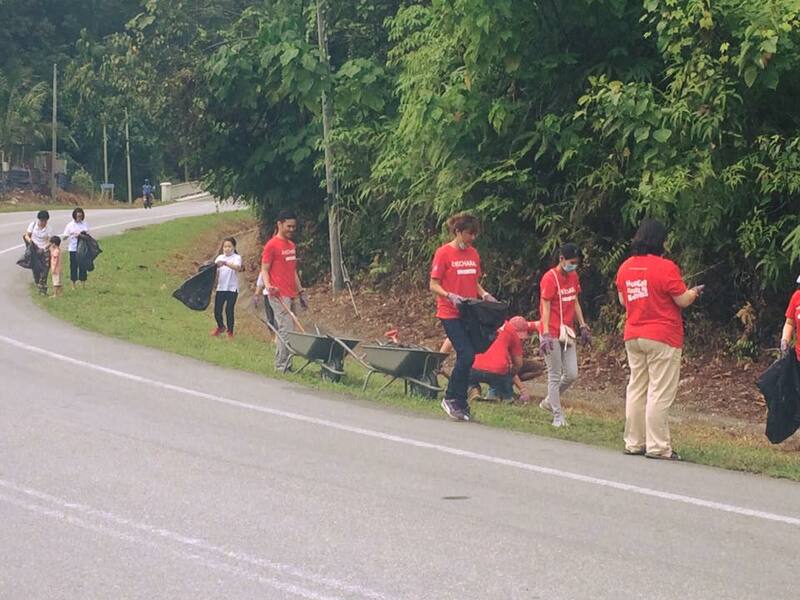 I am happy to see that this cleaning up is becoming a consistent thing in Bentong. Kecharians must set an example for the locals in Bentong. They must show that litter and pollution is wrong and needs to be corrected. If this occasion is repeated yearly, I am sure that more and more people will become aware of this. Thank you to all who participated in this combined effort to clean Chamang Road in Bentong, it is heartening to know that all were truly focused on this task of making Bentong a more cleaner town. 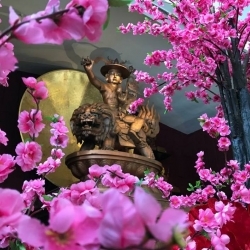 These auspicious events were attended by the head of the local municipal council and also the forestry department speaks volumes of the recognition that they have on Kechara. The contribution by the local contractors providing their machineries for the cleanup must also be congratulated for their kind thoughts and efforts. This humbleness shown by the respective local government departments, contractors and Kecharians working in unison to do the cleanup is something Kecharians can be proud of and hopefully we pray for many more wonderful happenings in the near future. 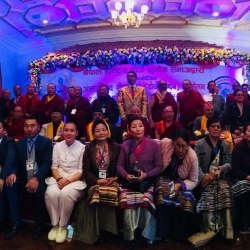 This personal association and blending with the local authorities and the Bentong residents will make it easier for us to introduce Tibetan Buddhism to them. Rejoice for everyone who took part in this gotong-royong event. How wonderful to see Kecharians working with the volunteers and the local municipal officials to clean up the road to Chamang Waterfalls, an attraction with many visitors. 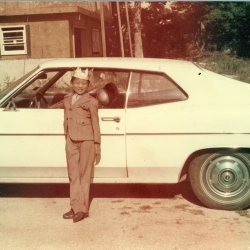 Our Guru, H.E. 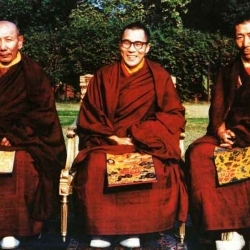 Tsem Tulku Rinpoche had always promoted environmental preservation for our future and the future of our generations to come. This is a fulfilment of his vision in the nicest possible way as everyone works together in willing harmony. Kudos everyone! 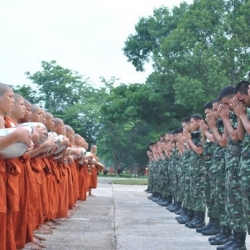 As Buddhists, we learn that we are interdependent, humans, animals, the environment and all beings therein. It is important to create harmony and taking care of the environment is the responsible thing to do. 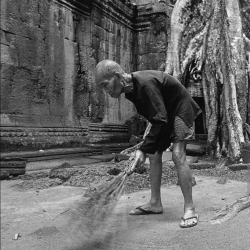 After all, we need a clean conducive environment for our sustenance. It might be not a global effort, but cleaning out your own back yard and beyond, is a small but good start and does make a difference. We should never feel that our efforts are too small to make an impact. 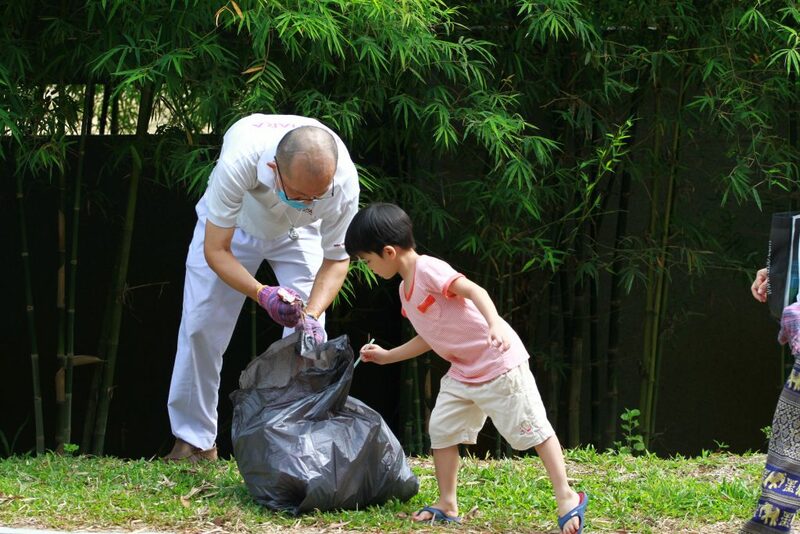 It is very important to keep our environment and community clean and safe to live in. 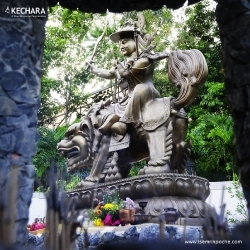 In Kechara we believe everyone is inter-dependent, thus it is important to respect each other, to respect our environment. By having activity like this, we are create awareness to the public the importance of keeping our environment clean and the responsibility we each have towards the betterment of our society. Thank you! Terima Kasih! “Nandri”! 谢谢! To every body who contributed & make this meaningful event happened again. Sad to say, in fact, they are always people who love to left “marks” wherever they go and kind hearted people like you guys would spend your precious energy and time to take care of the environment and wipe off those unwanted “marks”. We all have responsibility to take care of the mother nature because we all share the same Earth! We would able to spend our time and energy to do something else which are more significant, if everyone do their own small part. Etc., to dispose rubbish into the rubbish bins. It seem like it’s a little too difficult for everyone to do so, because we are a little bit too selfish and a little bit too lazy. However, for instance, when people dump rubbish around where we are living, we would not delay to make complaints and curse people who dumped. When we do not care about the others, why should the others care about us? I’ve no idea, what can be done to change people mind, so that we will not be so selfish and damage the Earth any further. I could only think of doing my own part and join great people to take care of the sake of our home, so that the mother nature knows there are still people who love her. 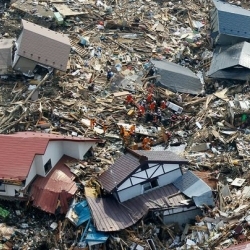 Much appreciations from me to those heros and heroines who really care about our home! It is great effort in participating a Gotong Royong with the local government. We as a part of the community must always work together towards a cleaner environment hand in hand with the local authority. It is not only the authority’s responsibility to care for the environment but the whole community. Hope this activity will bring more awareness to be responsible of our action, love our community and environment. Kudos…to those who made the cleaning up of Jalan Chamang, Bentong, a successful comunity event.When we have a cleaner environment ,more people and tourist will visit the famous waterfall, KFR and the Bentong town as well.At the same time to keep the place away from mosquitoes breeding further,As spiritual seekers its wonderful to work with other local departments in caring and giving our service to the local community and to protect our environment.May those who had sponsored tools etc and to those who are involved in the cleaning up be blessed. 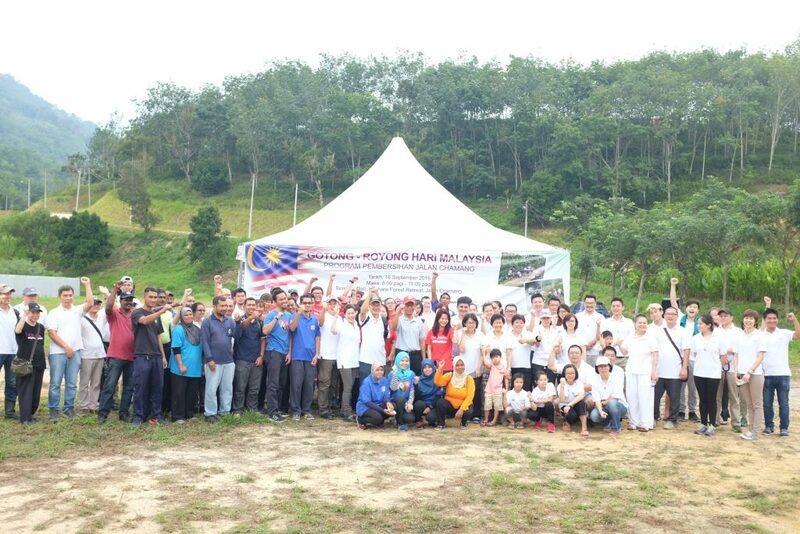 It was a great effort by all to sponsor and participate in this gotong royong. Not only does it , at least temporarily cleans up the environment, it also raises awareness of a clean environment and that all should refrain from simply flinging rubbish out their vehicle window. 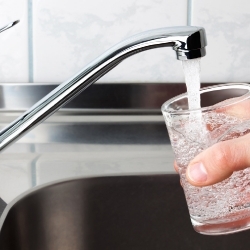 It may seem a small step, but it is also creating a cause for a cleaner environment. 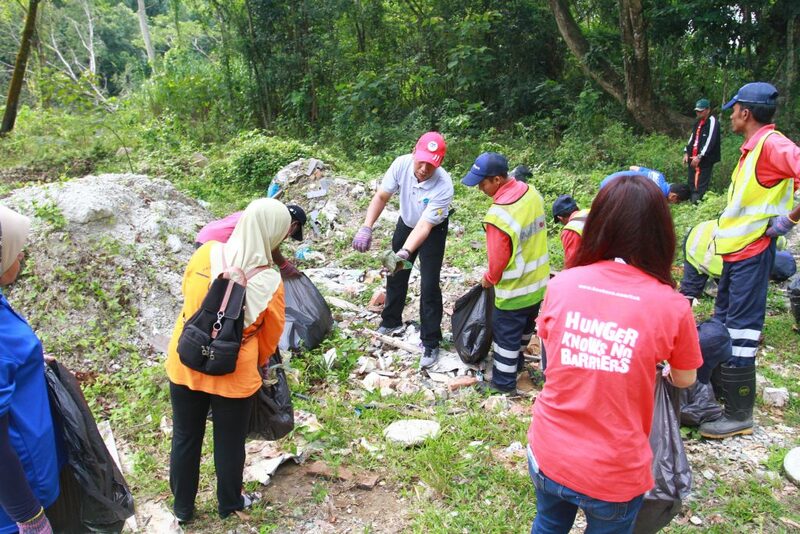 Over time, more people will become aware and will actively work towards a cleaner Bentong – for a cleaner environment free of mosquitoes. 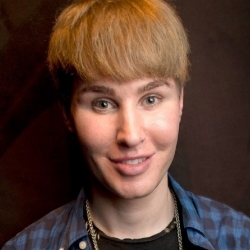 Thank you for sharing this article as I’m sure it is a way of raising awareness.